On Friday, 8 schools took part in the Irvine heat of the Rotary Primary Schools Quiz, organised by Seagate Rotary. In a closely contested and high scoring contest, winners were Glebe by a small margin from Annick. Glebe will go forward to the District finals in Glasgow next month. Monday was a club business night. 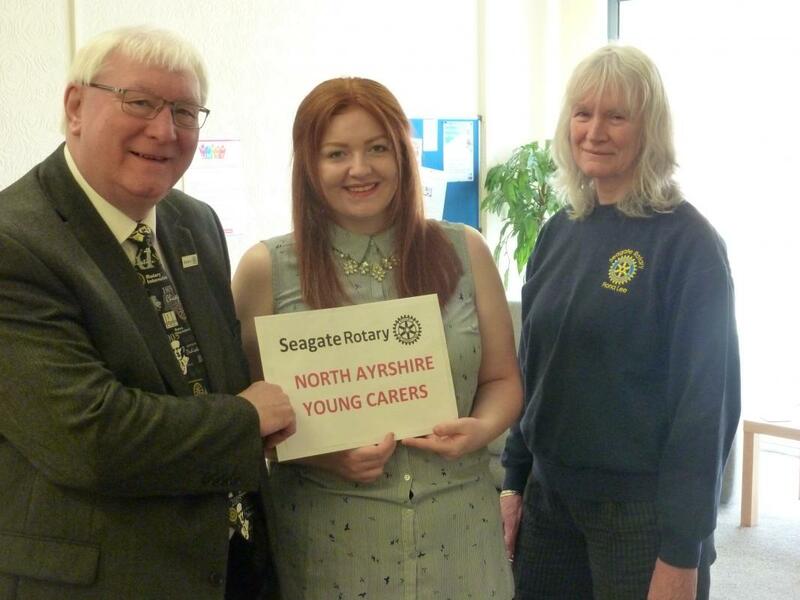 It was noted that a cheque had been presented to North Ayrshire Young Carers. The funds were raised from the Christmas trees project at the Portal. On Saturday, Seagate will be litter picking at the river side in the Harbour. This is part of the Rotary initiative covering the whole of the Ayrshire coast. Fiona Lee reported that there have been no new cases of Polio in Africa for nearly 3 years, and worldwide just 6 cases so far this year. These have been in Afghanistan and Pakistan, but despite their differences these countries are cooperating in the vaccination campaign. When Rotary initiated the effort to eradicate Polio, 30 years ago, Polio was endemic in 125 countries and 1000 people a day were killed or crippled by the disease. It is important that the campaign continues, to wipe out the virus completely as it could easily re-establish in unprotected populations.